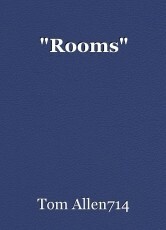 Wow, those rooms inside one's head -- that's quite a staggering thought. Door after door just waiting to be pushed open. Nicely done, Tom, and an excellent interpretation of Gone Girl's original!